Gouhara Kotou, originally named as Horie Toichirou, was born in Higashichikuma, Nagano Prefecture, Japan in 1892. He was then adopted by his mother’s brother Gouhara Yasusaburo and changed his last name. He graduated from the Teaching Department of the Tokyo School of Fine Arts. Gouhara came to Taiwan in 1917 and only returned to Japan in 1936. During his stay, he taught at the Taichung Public High School of Taiwan, Taipei Third Girls' High School and Taipei Second High School. Many Taiwanese painters were influenced by Gouhara, including Chen Chin, Lin A-chin, Chiu Chin-lien and his official disciple Guo Hsueh-hu. In 1919, he organized an island-wide project entitled the “Self-taught Painters Exhibition.” In 1923, he dedicated two paintings of his, Nitaka Mountain and Botel Tobago Island, to Crown Prince Hirohito who visited Taiwan. In 1926, he participated in the preparation of the “Taiwan Fine Arts Exhibition” as a managerial member and a reviewer in Toyo painting. He also initiated the Toyo Painting Association and Zhantan Club. Upon returning to Japan, he displayed Inner Taroko, a painting from the “Screen Paintings of Taiwan’s Mountains and Seas” series at the Japanese Cultural Festival, and drew wide attention from the painting community in Japan. 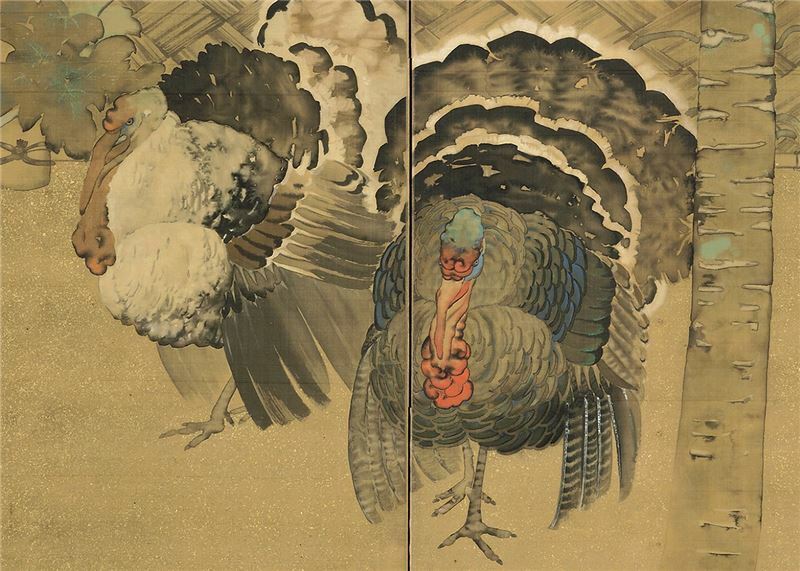 By influencing the official fine arts exhibitions and the art education in Taiwan, the early Toyo painters here were able to break away from traditions while exploring modern techniques and ideas. Gouhara incorporated plein-air painting techniques into his paintings. He was especially noted for detailed depictions of life. Southern Charm displayed at the 1st “Taiwan Fine Arts Exhibition,” for instance, is full of fine brushstrokes and splendid colors. The giant Views of Nenggao Mountain as part of the “Screen Paintings of Taiwan’s Mountains and Seas” series, on the other hand, is characterized by powerful dry brushstrokes and contrasting ink and wash. It truthfully presents the magnificent high mountains of Taiwan amidst changing light and shades. 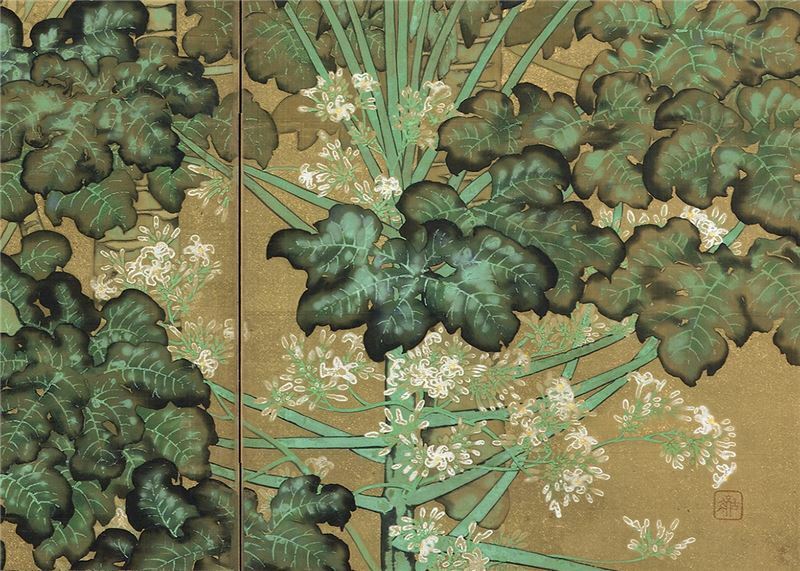 As opposed to the meticulous composition, splendid use of colors and plentiful ornaments in Southern Charm, as well as the magnificence in the “Screen Paintings of Taiwan’s Mountains and Seas” series, The Garden looks much more graceful, simple and amiable. 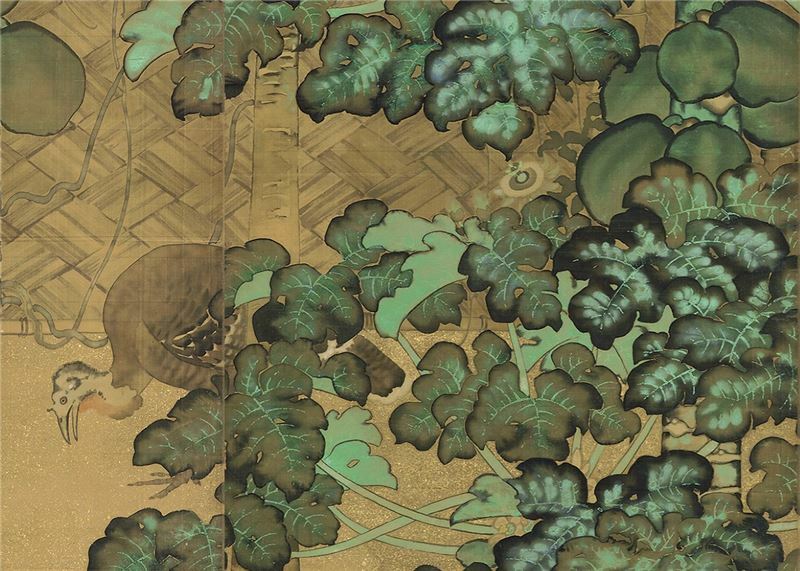 This painting was painted in the 1920s, presumably when Gouhara had just left Taichung for Taipei to teach. 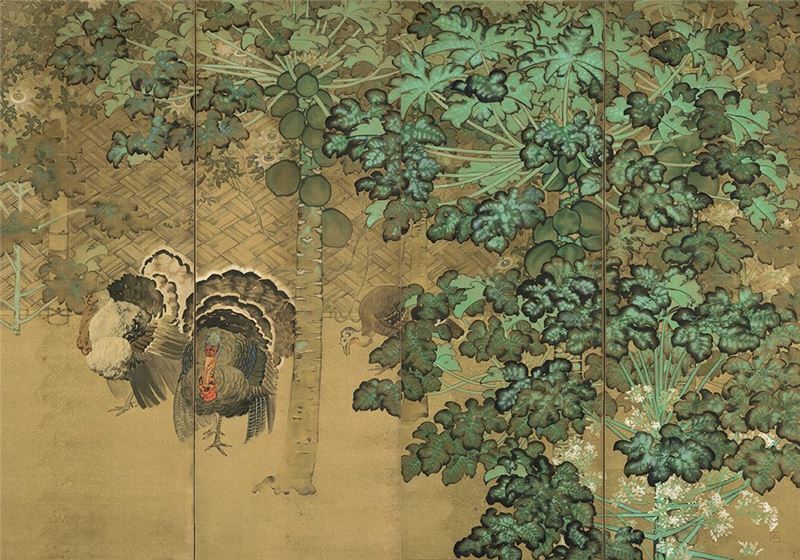 In this wonderful picture, papaya trees, turkeys and bamboo fences are contoured with ink and painted with gauche. The use of colors is splendid; even gold foil is applied to the blanks to create a ornamental effect. The artist made a smart use of painting elements to present an idyllic scene of Taiwan in early years. Gouhara participated in the painting community of Taiwan during the Japanese Rule as a reviewer of the “Taiwan Fine Arts Exhibition” and a painting instructor. By initiating Toyo painting societies with Kinosita Seigai, such as the Zhantan Club, he also played a leader’s role in promoting contemporary art in Taiwan. The “Taiwan Fine Arts Exhibition,” moreover, facilitated the replacement of Chinese painting with contemporary Toyo painting. They re-presented subjects and personal experiences in daily life through painting, using strong colors and expressions of light and shades to depict Taiwan. Painters of the time illustrated the culture and landscape of Taiwan to establish some “logo colors” of Taiwanese painting. The Toyo Painting Department of the “Taiwan Fine Arts Exhibition”, in particular, reserved many evident examples as such to be discussed.